If you want to experience a vacation that you and your loved ones will surely enjoy, it'd be best to check on holiday deals to the Himalayas. Here, you and your family and friends will surely enjoy a vacation that can relieve you of the stress brought by the daily grind. Look for the best flight deals to Nepal and visit here now so that you can witness the awe-inspiring and world-famous Himalayas. Adventure travel is one of the fastest growing but least understood forms of international tourism. 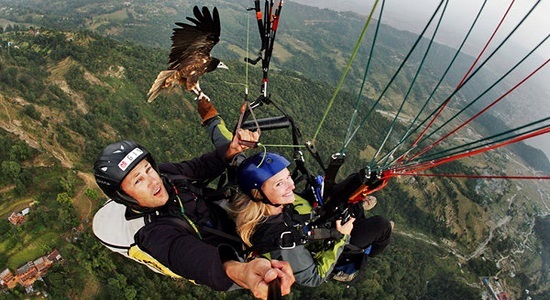 Nepal is one among the best destinations in the world for adventure tourism which offers an excess of outdoor activities from Paragliding near the mountains to waiting for the Bengal tiger in the dense forest of Chitwan. The history of adventure tourism in Nepal starts from the early attempts to ascend world’s highest peak Mt. Everest some about five decades ago. The role of Adventure Tourism in the economic development of remote areas and its impact on local community, economy, and the environment are not fully figured out, even though adventure tourism has been adopted enthusiastically by many countries like Nepal. Here we are not to analyze the impact of adventure tourism in Nepal but we believe that adventure travel will bring many positive impacts on Nepal's national economy, indigenous populations, tourism industry, and conservation development. With its steady growth, adventure tourism in Nepal will play an increasingly important role for national and local development in the frontier areas. Trekking is still the most popular sport among visitors. The geographical and natural diversity and a range of exotic culture make Nepal an ideal place for trekking. Trek to the Himalayas of Nepal provides an opportunity to observe the culture and enjoy the beauty of nature. White water rafting on Himalayan Rivers across the typical cross section of Nepal’s geography is equally popular. You can coast on clam jade waters with splendid view all around or rush through roaring rapids. Rafting is inarguably the best way of exploring Nepal, as it takes you through hamlets, canyons, virgin forests, and wildlife. Jungle Safari in the Terai is preferred to see Nepal’s rare varieties of animals and birds. A venture into the lush green forest on an Elephant’s back in the Terai region crossing rivers and swamps will give an opportunity to explore Flora and Fauna of Nepal as well as encounter rare animals and birds. Be prepared for a royal treat because Royal Bengal tiger may surprise you by his majestic appearance. Since Nepal has diverse terrain, Mountain biking is another wonderful adventure sport. It offers environmentally sound way to explore the magnificent landscape and vibrant culture as well as remarkable heritage. Peddling on the hidden trails of the rarely visited rural villages, you will see smiling local faces living simple life in peace and harmony and practicing their own culture as well as speaking their own dialect. Similarly you can have another thrilling experience of ultimate bungy jumping over the 160m high bridge of Bhote Koshi, one of the world’s wildest raging river rushes down from the Himalayas. Simultaneously Nepal offers other adventure activities like Bird watching, Cannoning, Mountain Expedition, Rock Climbing, Peak Climbing, Horseback Riding, Snowboarding, Fishing and even Honey Hunting. Across Himalaya is a well known and reputable government licensed Travel Company that has been organizing rewarding adventures for travelers for the last several years. Famous tourist destination for adventure sports and adventure tours in Asia, The topography of this Himalayan Kingdom makes it the first choice for adventure tours. Let us have a look at most thrilling, electrifying and mind blowing adventure places, sports and activities that Nepal offers. We take pride in the large number of satisfied and repeat customers that visit us every year. We look forward to extending to you the opportunity to share the adventure of a lifetime. We are travels operating firm in Gorakhpur, Uttar Pradesh established since 1980 by the two brothers Mr. Anil and Sunil Kesherwani. We have started our business with 1 Bus with our good and timeliness service we have created a good reputation in mind of people and became a biggest Bus fleet owner in the city. 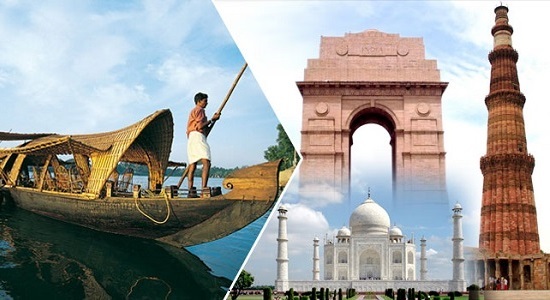 We are best and oldest travel agent in Gorakhpur,Adventure Tour,Adventurous Tour,Adventure Sports for Nepal,Bird watching, Cannoning, Mountain Expedition,Rock Climbing, Peak Climbing, Horseback Riding, Snowboarding,Fishing in Nepal,Travel agent in Gorakhpur for Adventure Tour,Adventurous Tour,Adventure Sports in Nepal,Tour operator in Gorakhpur for Adventure Tour,Adventurous Tour,Adventure Sports.